Electronic Medical Records (EMR) are becoming widely popular as healthcare professionals realize the inherent benefits of storing patient data in an electronic format rather than on traditional paper charts. This digital transformation has greatly enhanced the accuracy of patient information and facilitated the exchange of patient data between all who are involved in the patient's care. 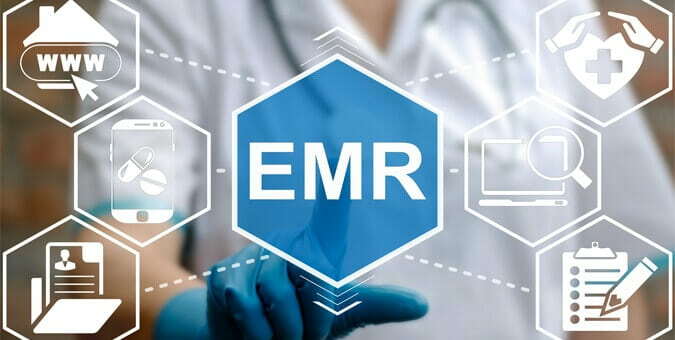 Contemporary EMR solutions are capable of performing a wide array of complex functionalities like one-click patient search, data concurrency, electronic prescription, labs integration using HL7 interface, claims processing using EDI transactions, appointment scheduling, medical billing, etc. Unfortunately, some practitioner workflows are too distinct for a one-size-fits-all EMR. For example, the workflow of a practitioner in a private office setting is very different than the workflow in a hospital. To optimize workflows providing a fully customizable EMR solution is critical to increase the efficiency of patient care. Physicians want their EMRs to be fast, accurate, and easily customizable with a straightforward design for easy implementation. EMRs that are simple to use with intuitive preference-based workflows are often preferred. Guidelines for topical issues such as text size, color choice, or menu location are readily available. Therefore, one must rather focus on the importance of interacting with EMR systems and entering accurate information in an easy and usable way. The system must make accurate data entry as simple as possible at the point of patient service. 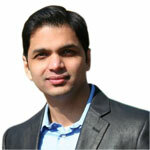 It is critical to realize the benefits of EMR systems. Any discussion about EMR user interface (UI) considerations must include a determination of the target device (desktop, laptop, touch screen, tablet, etc.) based on the user role, the preferences of the users, the task they perform, and their work environment. The application should identify the type of user during login so that the system presents the user with a screen or a dashboard that is specific to the user's role. For example, if a nurse logs in to the application, the UI should display functionality that is specific to that role. Having different UIs based on user role is an advantage as this creates a simpler, more focused user experiences (UX). An EMR system can also benefit from having multiple UIs. Some users may prefer a specific display, so they should be able to set a default screen to match their role as well as their preferences. In some cases, it may be necessary for users to change to other user displays or easily toggled between role types (assuming they have the permission/credentials to do so) in order to access areas of the application that require authorization for advanced functionality. It is likely that an EMR will be utilized by many physicians who will each prefer different types of input modes such as dictation, typing, or handwriting. For example, a physician who prefers taking notes by hand will benefit from the use of a device and interface that features handwriting recognition. Similarly, an EMR system with a UI that allows a physician who prefers dictation to upload an audio file of a patient visit and associate it with the patient's records will provide a more favorable UX. In these mixed preference environments, the UI of an EMR system must facilitate switching between these various input modalities and present a UI that focuses on the particular input mode in use. Different workflows and practitioners are involved in the patient care environment; therefore, it is important to select the best device for the specific task and environment, and then display a UI pattern that is both role and task specific. For example, a nurse recording patient vitals in an exam room would most likely benefit from a simple device, such as a tablet PC or a touch screen on the wall, to allow quick entry of patient information. The UI, in this case, would feature a simple dashboard with touch screen-specific controls, such as the finger swipe functionality to scroll up and down and lightly tap the screen to select specific fields in the patient record and manually enter new data. Regardless of preference, the UI of any device that is connected to an EMR system must facilitate the process of searching for a patient, display the records in a clear manner for practitioners to obtain an overview of the patient's history, and permit users to easily select specific fields when entering new patient data. An EMR system with a one-size-fits-all UI that is designed for a generic user and only for one type of device is one that did not have its usability considered during its design. On the other hand, an EMR system with a wide-range of functionality crammed onto each screen will hinder practitioner workflows as users may end up using only 20% of the functionality and spend 80% of their time trying to figure out the rest. To guarantee that this balance is met, EMR software vendors and medical professionals can leverage the expertise of experienced software developers to create custom EMR systems that feature simple UIs with defined user roles, and have specific UI patterns developed for each device in the work environment. This way users can easily access the functions they need, and advanced, authorized users have a way to access extended functions.